Bits of My Own: Sarah's house is finished! I also finished the floral motif in the left-hand corner. ( I am not sure what that little basket looking thing is). I still have a few more flowers to do, and then it will be on to stitch the giant chickens! 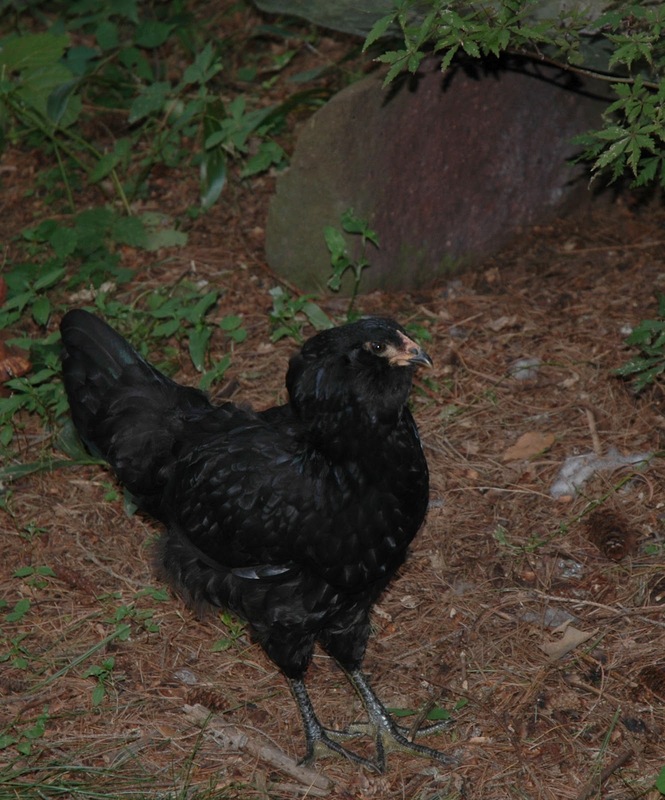 Speaking of giant chickens, I took a few pictures of my own giant chickens. Ollie cannot figure out why these birds rate their own house! He has discovered though, that the chipmunks run in there to steal their feed. Hope you enjoy my silly pictures! Nice!!! Did I miss something? What is this piece you're stitching??? I really like it so far! Love your huge chickens too. lol! They're all so pretty and colorful! The house looks great. I am partial to red houses! Your chickens are so colorful! Great sampler you are stitching here. And all these big chickens, will they recognize their buddies when you will have stitched them on the sampler? Lol. Okay. Now I do like a challenge, but . . . The Sarah Whiteley Sampler is finished! Any Jane Austen fans out there?